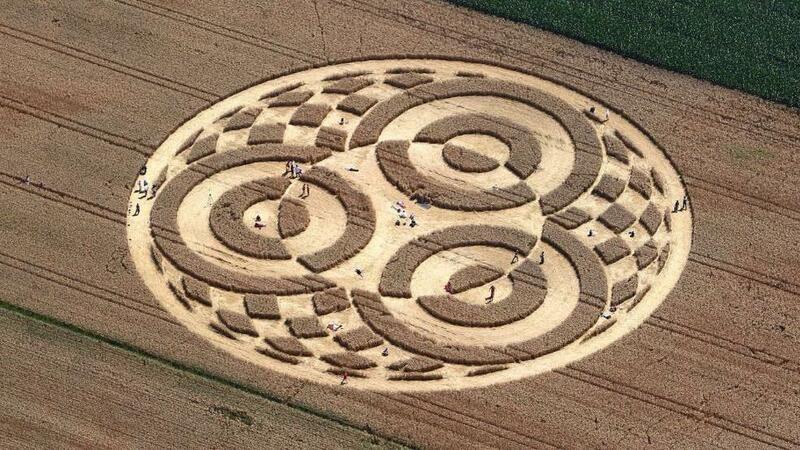 In Germany, one of the wheat fields appeared mysterious circles. Thousands of visitors are sure that their occurrence involved supernatural forces, but the owner of land ownership believes that it was someone's joke. These mysterious circles in a wheat field in Bavaria found last week athletes aircraft flying on balloons.After that, the news about the mysterious pattern diameter of 75 meters quickly spread through the Internet. Since it is the ordinary at first glance the field attracts thousands of curious visitors. Many of them believe that the rise to geometric figures involved in supernatural forces. "Something out of this world. I'm not talking about UFOs , no. These are some forces that we do not understand, and maybe understand, but did nothing. Or maybe it just was not in the press. I believe so. " Visitors believe that this place has a special energy. Many of them spend many hours here in the hope of "recharge" from outer space. According to them, not by accident just a few hundred meters away is the former telecommunications antenna station, which in 1969 led broadcast landing Americans on the moon. And the owner of the field confident that these circles - work of human hands. 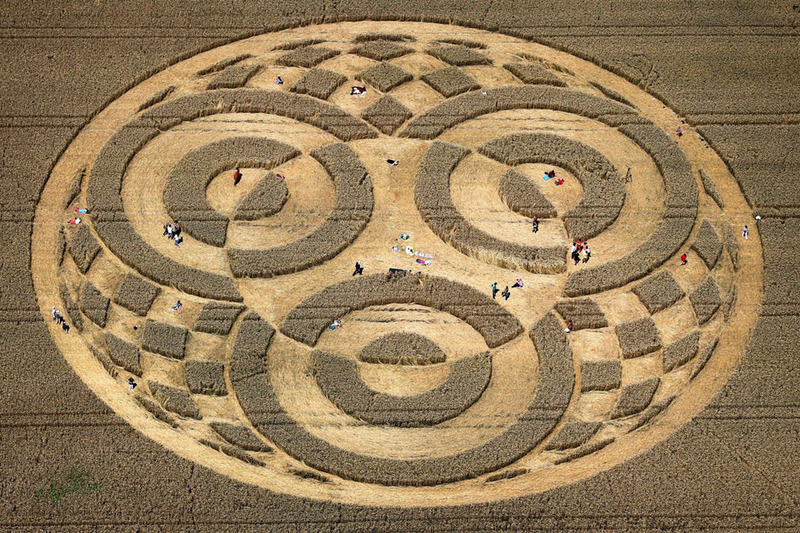 He is convinced that the creation of these patterns on wheat are any students. At least his involvement, he categorically denies. "I think it was the people. While yes, drawing almost perfect. Make a night easy. So I do not know. " The farmer has no objection to this kind of attention to their possessions. According to him, people take off their shoes, before you go on the field, and even began to collect money for the compensation of the potential damage. According to estimates of the landowner, the losses from the appearance of these circles do not exceed a few hundred euros.